Historical uptake of renewable energy systems in the U.K. has been very low, especially for technologies such as solar PV. The Feed-in Tariffs scheme was introduced to reverse that trend. However, after a relatively subdued start to the scheme, which has now been running for over half a year, it seems that there are considerable challenges facing the U.K. FiTs scheme. The U.K. was decidedly late to the party on the introduction of the Feed-in Tariffs. No wonder, therefore, that we are languishing at second from the bottom of the European league table of renewable energy production. It has been argued, however, that by taking its time the U.K. should be less likely to fall foul of some of the mistakes that have been made in other countries, most notably in Spain, where the introduction of the Feed-in Tariffs did not go to plan. However, there are considerable challenges facing the Feed-in Tariffs scheme. The low volumes of PV installations to date mean that the industry is small. Public views on the suitability of PV are tainted by perceptions of cost and the belief that the country is not suitable for such technologies. Finally, and perhaps most significantly, awareness of the scheme in general is very low. The figures for the first few months of operation show how significant these hurdles are. In the first six months, 44 MW of FiTs eligible systems were installed and registered of which just under 26 MW was for solar PV. This seemed an encouraging start, but it hides the fact that installations have tailed off after an initial surge with barely 2,000 PV systems being registered a month at the moment, averaging under 3 kW in size. One of the most important challenges facing the industry is the fact that it is small and needs to ramp up quickly. Since the Feed-in Tariffs (FiTs) went live, as should be expected, a host of small, local solar PV installers have emerged while the larger, established players have struggled to cope with the initial surge in interest. This has meant that many householders have had to wait several weeks before surveys and quotes could be delivered. At the same time, the Government has not made any meaningful contribution to raise awareness. This has meant that the industry has been left to its own devices in terms of attracting public, commercial and public sector interest in investing in FITs installations and countering negative public perceptions of the viability of PV--remember, the U.K. is roughly en par with Germany in terms of solar radiation levels. This has all been compounded by the ongoing debate in the media about whether the country should have the Feed-in Tariffs in the first place followed by reports about Government plans to cut the rates earlier than the planned degression in 2012. Fortunately the Government chose not to do so but still has not dispelled the seeds of uncertainty. This can be seen in two statements made by the Government in October and November. The first was within the Spending Review when the Government, after some considerable industry lobbying, was persuaded not to make an early cut to the Feed-in Tariffs rates. However, it still managed to water the seeds of uncertainty by making it clear that it reserved the right to make a cut earlier than April 2012, when the first planned degression occurs, if it felt that there was higher than expected uptake. Unfortunately it has still not defined what would count as being ‘higher than expected’. To compound matters further, in a second statement in November, the Minister for Climate Change, Greg Barker, told MPs in the House of Commons that “..large field-based developments should not be allowed to distort the available funding for roof-based PV, other PV and other types of renewables.” Again, no further updates have been forthcoming meaning that investors are still somewhat in limbo about the Government’s intentions. The industry is therefore in the unfortunate position of needing help from the Government to support the development of the scheme but instead is at the receiving end of statements that breed uncertainty. Will the Feed-in Tariffs Work as an Incentive? Yet the big question remains as to whether incentive schemes for onsite renewables represent a sound strategy. The simple answer is yes; based on the fact that uptake without these schemes was so low as to be virtually non-existent. 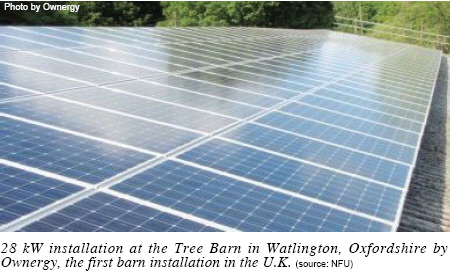 Consider, for example, that before the Feed-in Tariffs went live on April 1st 2010, there had been an estimated 32 MW of solar PV installed in the U.K. ever. By the end of the year that figure should have doubled. This is a reasonably good start for the U.K., although it pales in comparison to many other countries, most notably Germany where over 8 GW--250 times the U.K. total--are predicted to be installed this year alone. In the present energy market, financial incentives for the installation of onsite renewables are essential. Until the costs of ‘externalities’ such as emissions, waste treatment and decommissioning of traditional energy generation are included in the prices charged, renewable energy technologies are financially attractive only with such incentives. The fact of the matter is that electricity is still a relatively cheap commodity for the end user. Even though energy prices are rising, they have not reached a point of concern for the vast majority of consumers or businesses. The key point here is that energy is not an issue that most consumers or businesses are prepared to do consider actively, beyond seeking the cheapest price per kilowatt hour. Put simply, uptake of renewables to date has almost entirely been amongst the environmentally conscious and this represents a very small minority of the population. This is understandable. After all, the capital cost of even the cheapest systems amounts to several thousands of pounds and the financial returns were simply not there. The choice governments face is either to raise traditional energy prices, by costing in the externalities, or to incentivise renewable installations. The former has proved politically unacceptable so most are proceeding with the later, in the expectation that renewable system costs will come down to the point where they will be competitive with traditional sources. This is often referred to as ‘grid parity’. The level of renewable incentive needed to do this is that which makes the user’s decision to invest a ‘no-brainer’. However, as every country has discovered, the hard bit to get right is the level of return. Too high and the level of installations far exceeds forecasts and therefore the cost of the scheme - borne by electricity users in the case of the U.K. FiTs--would be too great. Too low and the scheme will fail. Two examples of this can already be seen in the U.K. where the tariff levels for farm-scale systems are too low and uptake has been non-existent. Similarly, for most businesses, the average 8% annual returns from the FiTs fall short of the payback most would need to justify non-core investments. It was argued quite forcibly before the Feed-in Tariffs were introduced that the 8% average annual return was quite modest. For the average household, this means payback around year twelve, which is quite lengthy. However, because the Government introduced Income Tax exemption on household FiTs income, combined with the record low interest rate levels, means that the 10% to 16% tax equivalent IRR that households can achieve does make it an investment attractive. The barrier, therefore, remains the initial capital outlay. Few have therefore been surprised by the levels of uptake to date. However, it is clear that rather than exponential increase, demand has flattened off since the summer with less than 2,500 household PV systems a month being registered and total monthly installed capacity dropping off. This should certainly dispel Government fears that the U.K. Feed-in Tariffs was about to soar ahead of forecast. Yet what is also clear is that predictions that the overwhelming majority of the FiTs capacity would be from household installations will not prove to be the case. 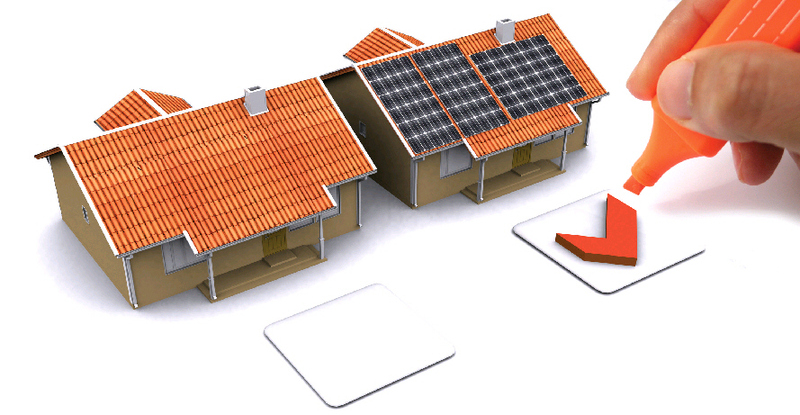 Forecasts put the household market at over 90% of the total installed capacity. While it is too early to predict what the actual figure is likely to be, because larger systems have longer lead times, it is already clear that commercial and industrial installations will take up a higher proportion than the Government expected. 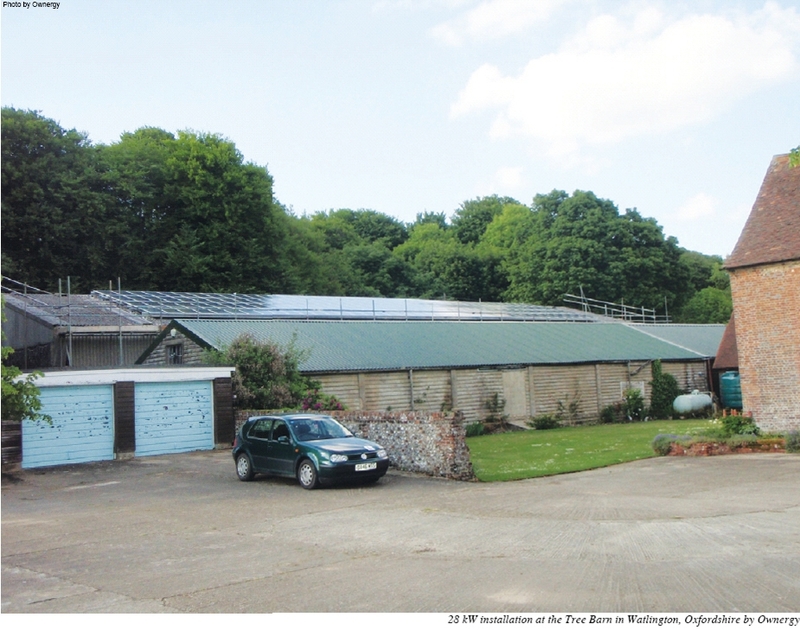 Already, the first three solar parks in the U.K. have been granted planning permission. As a company involved in the delivery of solar parks, Ownergy has seen interest far exceed expectations. We have a sizeable number of solar parks heading towards planning and it is clear that across the U.K., at least 50 could very easily be built before the first tariff degression takes place in April 2012. At a conservative 1.5 MW average installation per solar park, this additional capacity will make up a significant proportion of the total. What is interesting about the U.K. Feed-in Tariffs when compared to other similar schemes is the impact of factors such as onsite electricity usage. If the owner of a large system can use the majority of the electricity onsite, then returns are typically 25% better than pure grid-fee systems. Other factors such as grid connection costs and the vagaries of U.K. planning law also impact the financial viability of the scheme. It also seems that landowners in the U.K. are among the most receptive towards the Feed-in Tariffs. This is because there is a strong heritage in the U.K. of business diversification among landowners to maximize the financial return from their estate. While the majority will still use the bulk of their land for farming, other commercial ventures are commonplace. Therefore, the prospect of a guaranteed 8% to 10% annual return for 25 years has proved very attractive to landowners and farmers. So as an industry, we find ourselves in a brave new world. Yet it has been a rocky start, mainly caused by fears of Government intervention that could have irrevocably damaged the Feed-in Tariffs just as they were beginning to pick up. Indeed, many argue that the damage may already have been done with many investors fearing that the Government will still cut the tariffs before 2012--it reserved the right to do so within the Spending Review statement. Many feel that the onus is now on the Government to do the sensible thing and throw its weight behind the Feed-in Tariffs and stimulate uptake. Key challenges of low awareness and fears about future Government intervention need to be addressed if uptake is going to meet forecasts and if the green collar jobs that are so desperately sought are going to emerge. It is clear from our perspective that when potential investors, be they consumers, businesses or the public sector, spend the time to understand the renewable energy tariffs then the desire to invest is there. However, it is an uphill battle and we will certainly see some, such as landowners and farmers, engage and invest more quickly than others. Philip Wolfe, a recognized pioneer of the renewables sector since founding BP Solar in the 1970s, is the company’s chairman and business development director. In six high-profile years as Director General of the Renewable Energy Association (REA), he became the voice of renewable energy in the U.K. Philip was a leading light of the campaign for the Tariffs and authored the first design blueprint presented to Ministers soon after the Energy Act was passed. He continues to work with many others in the industry through participation in the Energy Saving Trust’s Microgeneration Advisory Board and the REAL Code Panel, and his ongoing non-executive directorships of the REA and the Aldersgate Group. ⓒ2010 www.interpv.net All rights reserved.